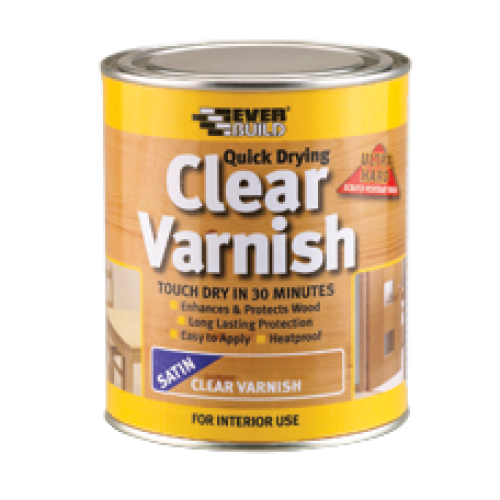 Quick Drying Clear Varnish is a professional, low solvent varnish that enhances the natural qualities of wood, and provides long lasting protection. It has been developed specifically to give an ultra-hard, scratch resistant and heatproof, non-yellowing finish. It is ideal for use on interior wood such as tables, chairs, doors, skirtings, furniture etc. Available in gloss or satin in 250ml or 750ml sizes.